In the final installment in the Echoes from the Edge series, the three Earths are headed towards imminent destruction, and only Nathan s father knows the secret to saving billions of people from the celestial collision. But he is trapped in a dream world where nightmares are reality and the collapse of the cosmos is at hand. When Kelly sacrifices herself on Nathan's behalfIn the final installment in the Echoes from the Edge series, the three Earths are headed towards imminent destruction, and only Nathan s father knows the secret to saving billions of people from the celestial collision. But he is trapped in a dream world where nightmares are reality and the collapse of the cosmos is at hand. When Kelly sacrifices herself on Nathan's behalf during a rescue mission gone bad, Nathan is faced with two formidable tasks: save Kelly, and repair the cosmic fabric before the three dimensions collide. With the fate of the universe hanging in the balance, and the murderous stalker Mictar dogging his steps, Nathan must save the three Earths or risk everything trying." This book hits close to home. This was an amazing conclusion to a series. I really enjoyed this book. I had a hard time putting this book down because I wanted to know how this story was going to end.It was very action packed and the twists and turns in this final book was amazing and this book became my favorite book in this series. I loved the ending of this book and what happened to all of the characters. It was a great final book. Great series! Loved the way he finished it off. I wouldn't change a thing! Only, maybe I would let Bryan Davis know that sometimes he describes too much of the action parts of this book series. I don't need to know every single bit of emotion and movement and pain felt aches each and every character experiences throughout the story! It becomes a drag. I would sum it up more, if I were him. Action is great! Don't get me wrong, however, it can become a bore. Very nicely wrapped up. I really liked Nightmare's Edge! A great ending to the series, full of action, drama, faith and even a little bit of romance. The only problem I did have was with the supplicants and the whole "my beloved" thing. I understand what they explained and all, but it just seemed a bit homosexual at times. AMAZING - a fantastic finale! One of those books that makes me wonder if we'll meet fictional characters in heaven someday. A powerful story about love, courage, grace, and sacrifice. Despite the still-somewhat-confusing physics involved, I loved the whole trilogy! Really amazing. 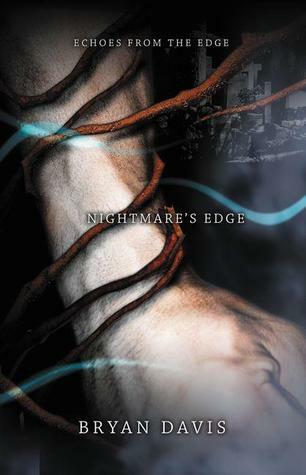 And Nightmare's Edge was a good ending! This was the third in the series and absolutely wonderful. If you like science-fiction/fantasy, the trilogy is terrific and the characters are fascinating. You have to keep track of the different versions of the same characters because there are 3 versions of each at different stages in time, which is challenging, but fun. This series is one of the best series that I've listened to on audiobook EVER! Lots of suspense, and I find it cool that they use music as one of the main forms of communication. A lot of the different musical terms that were and are used in the story are ones that I know from my piano lessons! This story is very intense. If you like suspense stories, this is for you. Kinda scary (I thought)but completely spellbinding!!!! I couldn't put it down! My favorite of the "Echoes from the Edge" books. This book was amazing such a great way to finish off the series I could not be happier with how it ended! A great final book in a real page turner of a trilogy. I read all 3 of these books in under a fortnight and really enjoyed the twists and turns.